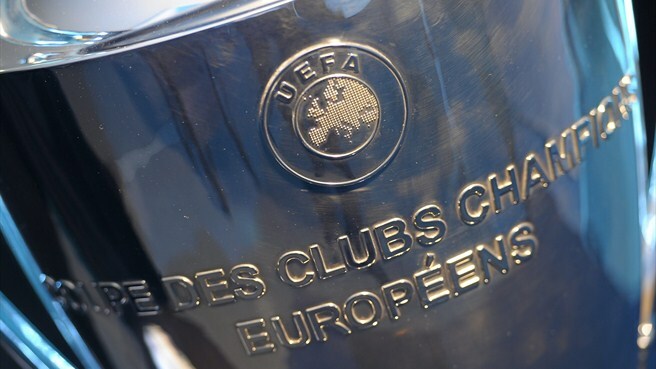 23 July 2013- Clubs involved in the 2012/13 UEFA Champions League shared €904.6m in participation, TV pool and performance-related revenue as the figures released by UEFA show. A total of €904.6m was distributed to teams competing in the UEFA Champions League last season. The two clubs that contested the 2012/13 final in London – German Bundesliga rivals FC Bayern München and Borussia Dortmund – each received substantial amounts reflecting their long campaigns and memorable contributions. Bayern, who were eventually crowned European champions after a 2-1 victory over Dortmund at Wembley in May, picked up a combined €55.046m in payments from UEFA. This sum consisted of €35.9m in participation, match and performance bonuses covering the group and knockout stages (including the final) as well as €19.146m from the television market pool. Dortmund earned a total of €54.161m, which comprised €32.4m in participation, match and performance payments, plus €21.761m from the TV market pool.Within those amounts, €10.5m went to Bayern for success in the final; Dortmund collected €6.5m as runners-up. Other high earners from the 2012/13 UEFA Champions League were: Juventus (€65.3m), AC Milan (€51.4m), Real Madrid CF (€48.4m), FC Barcelona (€45.5m) and Paris Saint-Germain FC (€44.7m). The €904.6m in prize money shared around the 32 sides involved from the group stage onwards represented €495m in fixed amounts and €409.6m from the market pool. All 32 participants were entitled to a minimum €8.6m in accordance with the distribution system. Additionally, performance bonuses were paid in the group stage: teams received €1m for every win and €500,000 for every draw, and Dortmund (with four wins and two draws) and PSG (five wins) reaped the biggest rewards, of €5m apiece. The clubs that advanced to the round of 16 were each assigned an additional €3.5m, the eight quarter-finalists an extra €3.9m, and the four semi-finalists a bonus of €4.9m. Monies from the market pool were divided according to the proportional value of the national TV market allocated to each individual club, among other factors. As a consequence, the amounts given varied from country (or national association) to country.